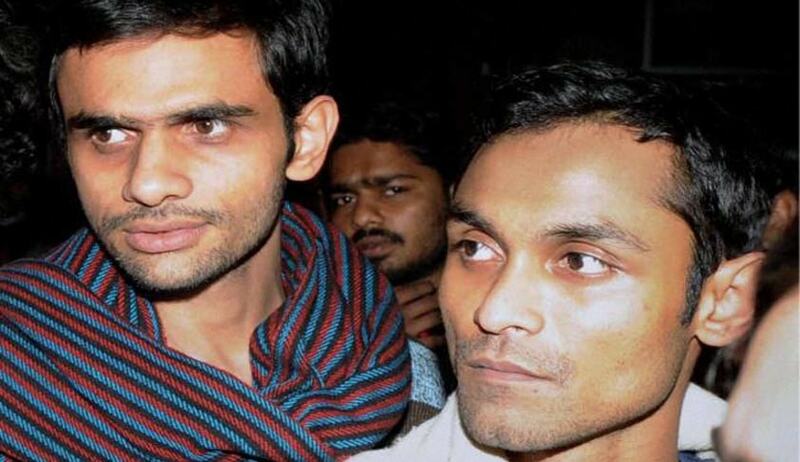 Jawaharlal Nehru University students Umar Khalid and Anirban Bhattacharya are granted interim bail for Six months by Delhi Additional Sessions Judge Reetesh Singh in the JNU Sedition case. The bail applications were opposed by the Prosecution on the grounds that the two were the main organisers of the Afzal Guru event, held on the JNU campus on 9th February. They were in judicial custody from 23rd February and sought bail on the ground of ‘parity. The Judge has accepted the argument of Advocate Trideep Pais that ‘role attributed’ to JNUSU President Kanhaiya Kumar does not appear to be different from the allegations leveled against these two accused. Kanhaiya was granted Bail by Delhi High Court by its order dated 2nd March 2016. The Accused persons have to furnish a personal bond in the sum of Rs 25,000 with one surety of the like amount. "Although the allegations leveled against Umar and Anirban are per se serious in nature but as claimed by the police themselves, the video footage of the incident has been sent to the forensic sciences laboratory. Its analysis and final report will certainly take time." "When all the aforesaid circumstances are weighed together and keeping in view that no previous criminal record of any nature whatsoever has been alleged and the fact that nothing has been brought on record which could indicate that they are likely to abscond from the jurisdiction of the court, then besides the ground of parity vis-a-vis release of Kanhaiya Kumar on bail, I deem it appropriate to release both the accused on interim bail for a period of six months”. states the order. Advocate Jawahar Raja appeared for Umar Khalid.